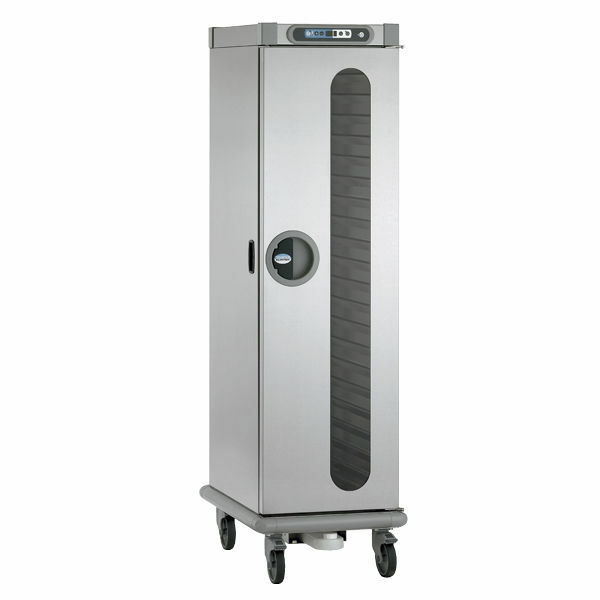 The Roll’Service mobile hot cabinet for hot food preparation is the essential link in the chain between the cooking area and the self-service distribution area thanks to its programmable humidification function. Roll’Service enables chefs to express their talent while providing the best conditions for product conservation and perfect presentation on the plate. 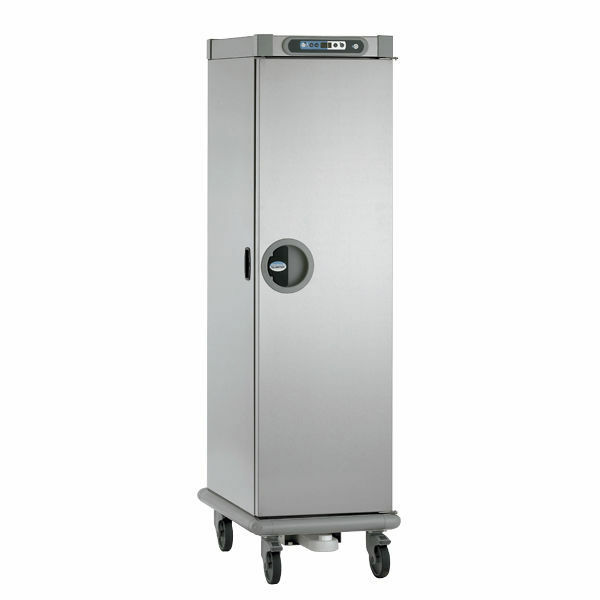 Heated banquet trolley. Made of food-grade stainless steel. Rock wool insulation, 70 mm thick for the walls, 45 mm thick for the door. Electronic control thermostat with digital display. All interior angles rounded, with press-drawn rails and base. Space between rails: 71 mm. Stainless steel or glazed door, with compressible seal, opening to 270°. Handles on sides and back. – Ø 80 mm in stainless steel housing on 5-level models. 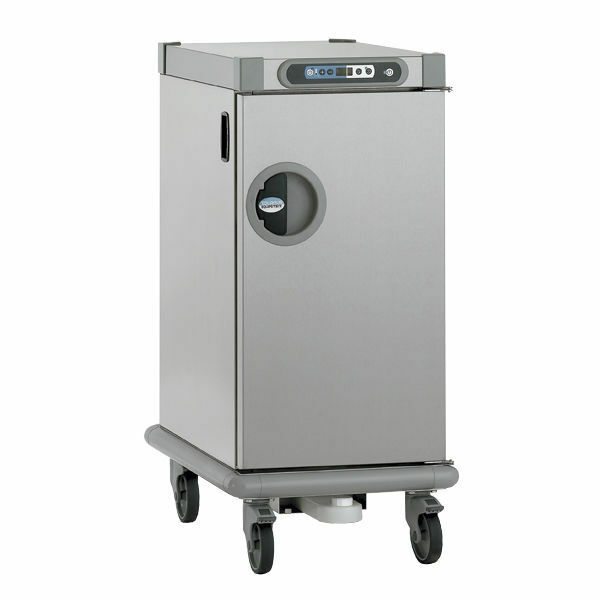 IP25 protection index, enabling low-pressure jet cleaning.NF food safety approval. 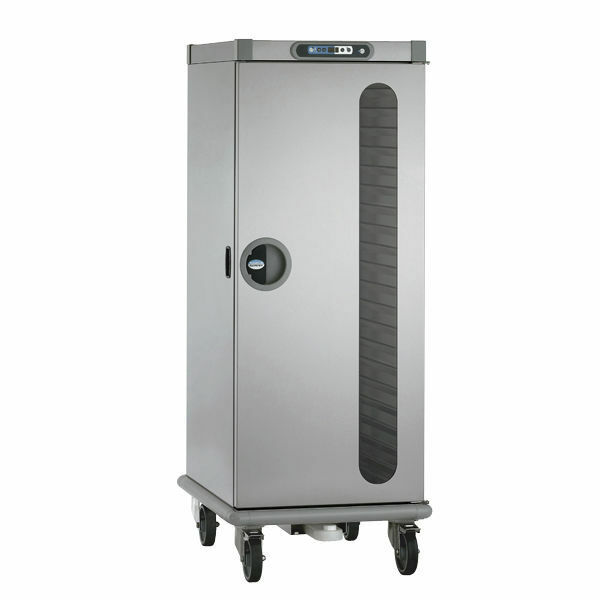 Electric heating system: heating provided by a centrifugal fan at the back with an external motor, circulating air through shielded sealed stainless steel heating elements. Stainless steel air blowing and diffusion duct. Regulated temperature at 85°C. The electronic regulation thermostat with digital display allows regulation from 60 to 85°C. Fast rise in temperature, from 20 to 85°C in 25 minutes. Voltage 230V.